Spring will be here in less than two months (hopefully). Once the warmer weather arrives, you’ll need to make a decision on aerating your lawn. 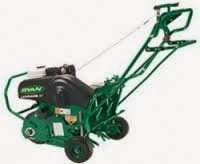 Lawn aeration is best done in the spring or fall. Aerating your lawn will help relieve soil compaction and allows air to circulate around the grass roots and at the base of the leaf blades. It’s another step that can help you grow a green, healthy lawn. Aerating your lawn is just a fancy way of saying that you’re going to poke holes in the earth. 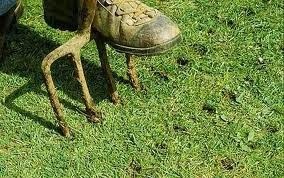 There are many reasons why it’s a good idea to aerate your lawn. Well-traveled areas of your lawn can become compacted, which can negatively impact growth. This means, if you have a lawn sprinkler system, the water and nutrient absorption will not be all it could be. Water drainage could also be a problem. Aerating your lawn will allow water, air and fertilizer to penetrate all the way down to the roots. This should allow the roots to grow deeper, creating thicker and healthier lawn. Aerating your lawn will also reduce the chances of thatch buildup. 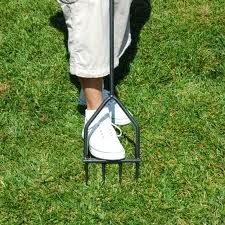 Pushing the solid tines of a fork into a lawn can help relieve soil compaction. When making the holes, wiggle the fork slightly to widen the holes. This tool is used the same way as the fork but it has hollow tines. This allows for cores of soil to be removed. 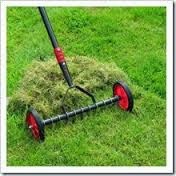 A scarifier removes leaves and any thatch at the base of the grass blades. This allows air to circulate and helps water and fertilizer penetrate the roots. 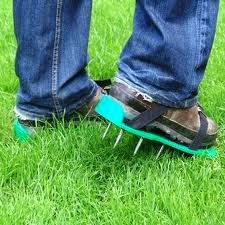 It might seem funny, but you can aerate your lawn just by walking in the yard. They are not traditional boots. More like strap-on soles that have long spikes. A slitter is a useful alternative tool for lawn aeration. The slitter is run over the grass and has sharp blades that penetrate through turf. It trims the grass roots, allowing air to enter the roots. It’s a good idea to run your sprinkler system soon after aerating your lawn. Watering your lawn soon after aeration can help break down the cores created by the aeration. You may also want to fertilize your lawn.